She admits to becoming “desperate” with symptoms including tinnitus, nausea, stomach aches and feeling numb on one side. Migraine is very common – it affects one in seven British people – and can be hard to stop. 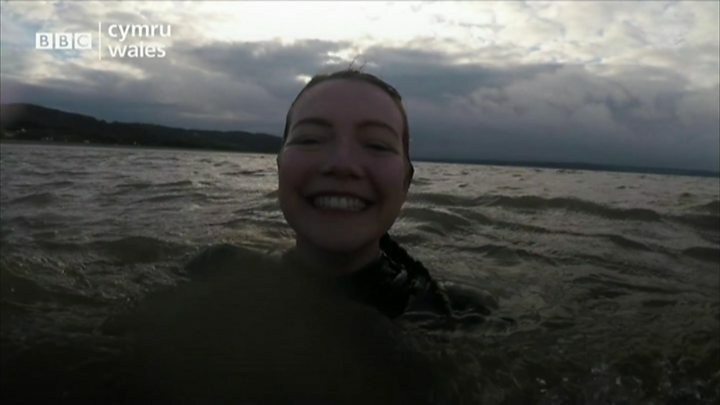 So Beth started regularly taking the plunge in the sea off Anglesey after reading research that “the sea can be used as motivation to exercise outdoors to influence health and wellbeing”. “It seems to have touched a lot of people,” said Beth. “If it is working for her, then that is very positive,” she said.